Thousands of meteorites fall through Earth’s atmosphere every day. Most of them are about the size of a grain of sand and never make it to the surface. Some, however, survive to leave lasting marks upon the Earth. Often people who find small meteorites keep them as a conversation piece. One such meteorite was kept as a doorstop for thirty years by a Michigan farmer before he decided to bring it to an expert. 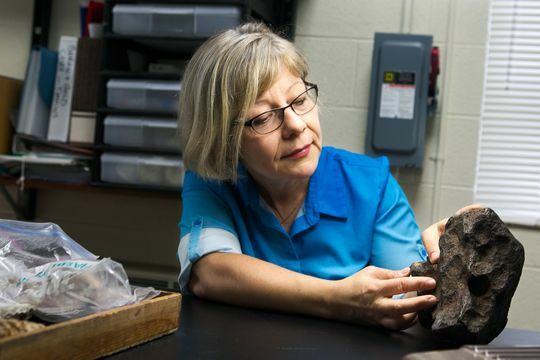 The 22-pound doorstop meteorite was brought to Mona Sirbescu, a professor of geology at Central Michigan University, by a man who wished to remain anonymous. The man claims to have found the meteorite holding open a door at his property when he bought it in 1988. The farmer who owned the property before him claimed that the rock was a meteorite and that it had struck the earth close to the farm back in the 1930s. “It made a heck of a noise when it hit,” the farmer reportedly said. When he sold the farm, he passed the space rock to its new owner, saying that it was part of the property. Eventually, the anonymous man moved away from the farm and took the meteorite with him. He later heard stories about other Michigan residents finding and selling meteorites. Inspired, he decided to take his own sample to an expert for analysis. Time Magazine reports that the man took the rock to the Geology Department at Central Michigan University, where it was examined and appraised at $100,000. Sirbescu says that she has examined countless “space rocks” over the years, but they rarely turn out to be actual meteorites. “For 18 years, the answer has been categorically “no” — meteor wrongs, not meteorites. I could tell right away that this was something special,” Sirbescu stated in an interview with CNN. 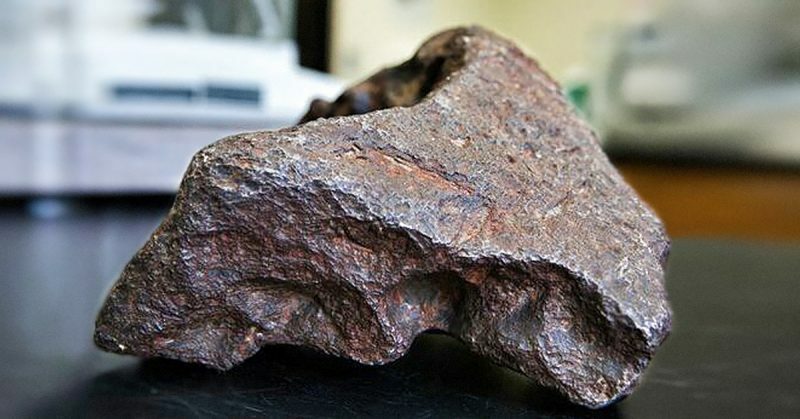 The doorstop-meteorite was found to be made mostly of iron with small amounts of nickel. It was sent to the Smithsonian in Washington, D.C. for verification and the famous museum also considered buying the specimen. The anonymous man who brought the meteorite in for examination agreed to give 10 percent of the sale price to Central Michigan University in return for their services in identifying the find. The meteorite has been dubbed the “Edmore Meteorite” after the town of Edmore, Michigan where it was originally found. The Edmore doorstop is but one of thousands of meteorites that fall through the earth’s atmosphere every day. There are a host of other famous space rocks that have come crashing down to the Earth’s surface at one time or another. Among the most famous of these is the Willamette meteorite found in Oregon in 1902. According to the American Museum of Natural History, the meteorite, named for the Willamette Valley where it was found, weighs about 15.5 tons. It’s made chiefly of iron and is the sixth largest meteorite sample in the world. 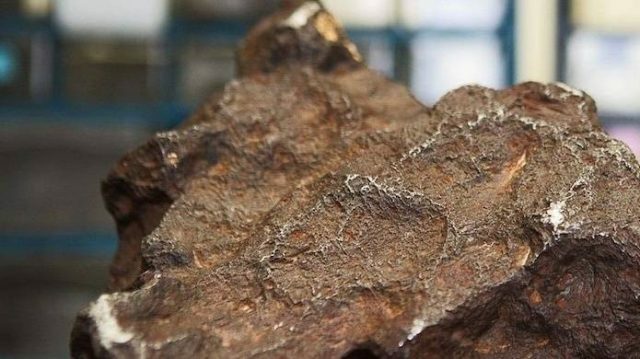 A meteorite made primarily of iron is rare. The iron comes originally from the forming and ending of stars, so these specimens have much to say about the development of solar systems and planets. 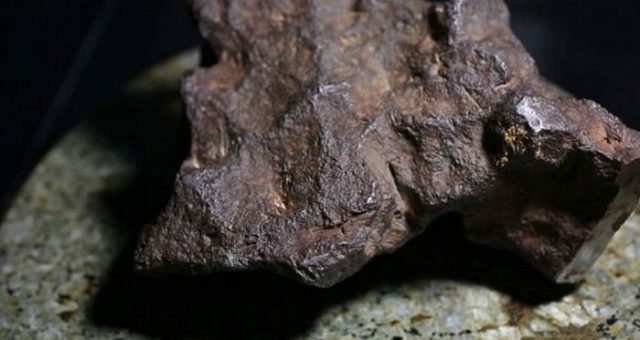 Scientists theorize that this meteorite is probably the remains of an iron-nickel core from a planet that was shattered billions of years ago. The fragment would have orbited our sun as the planets formed, eventually crashing into the Earth’s surface at around 64,000 kilometers per hour (40,000 mph). The meteorite has a unique shape, filled with cavities carved by rainwater forming sulfuric acid from the meteorite’s iron sulfide composition. The Willamette meteorite was held sacred by the indigenous peoples of the valley until it was secretly appropriated by a settler named Ellis Hughes in 1902. It is currently on display at the American Museum of Natural History in New York City.